LAHORE: Punjab Chief Minister Shehbaz Sharif has written a letter to his Indian counterpart Amarinder Singh in a bid to encourage regional cooperation to eliminate smog. 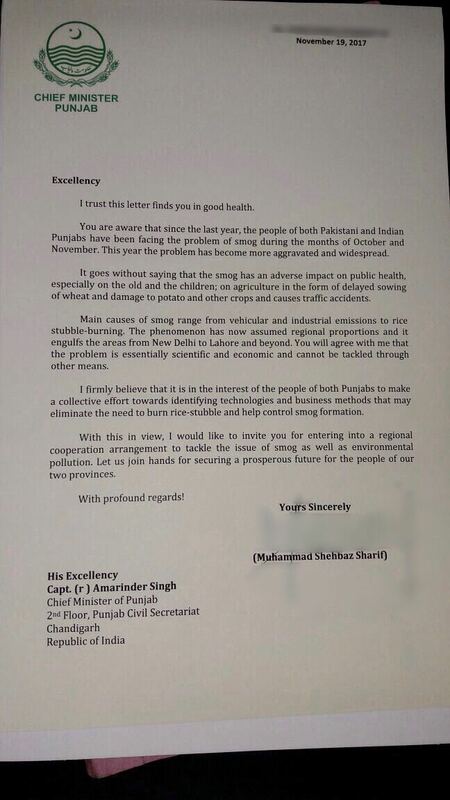 The government of Punjab’s twitter handle posted the details of the letter posted to the chief minister of Indian Punjab. “Since the last year, the people of both Pakistani and Indian Punjab have been facing the problem of smog during the months of October and November. This year the problem has become more aggravated and widespread,” the letter read. Last year, people of Lahore saw smog envelope the city for the first time in the first week of November. However, Delhi, among other parts of Indian Punjab, has seen the higher levels of air pollution in the past few years. Last year, odd-even number plate mechanism was also employed in Delhi, inspired by a similar mechanism enforced in Beijing, to reduce the vehicular emission which constitutes smog. The major reason behind smog every year in the months of October and November is usually the stubble-burning by farmers. Sharif noted that smog has an adverse impact on public health, especially on the old and the children; on agriculture in the form of delayed sowing of wheat and damage to potato and other crops. “Main causes of smog range from vehicular and industrial emissions to rice stubble-burning. The phenomenon has now assumed regional proportions and it engulfs the areas from New Delhi to Lahore and beyond,” Shehbaz wrote. He further wrote that the problem is essentially scientific and economic and cannot be tackled through other means. Environmentalists on both sides of the border have accentuated regional cooperation to tackle the deadly increase in the levels of air pollution. Statistically, smog kills more people than terrorism in Pakistan. Sharif emphasised that this issue cannot be solved without cooperation from both sides of the country and invited Amarinder for greater cooperation in the future. “I would like to invite you for entering into a regional cooperation arrangement to tackle the issue of smog as well as environmental pollution. Let us join hands for securing a prosperous future of the people of our two provinces,” he wrote. This is the first time any government official from both sides has made an effort to reach out for greater cooperation to end the deadly levels of smog. 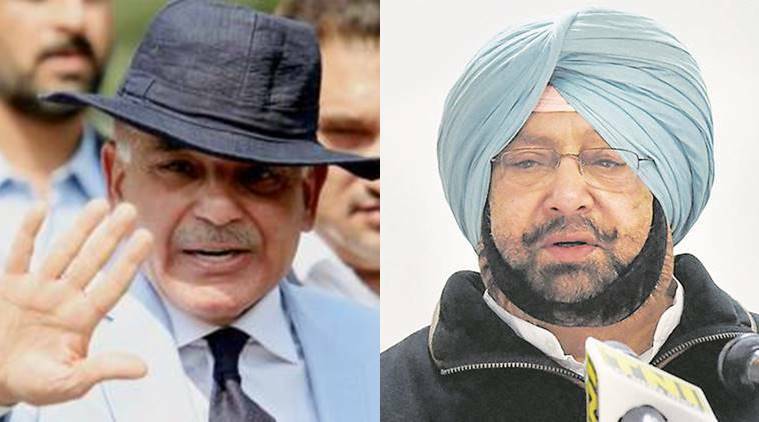 Raveen Thukral, the media adviser of Singh, responded to the tweet by saying that Amarinder Singh is extremely concerned about the issue and is actively pursuing it with the Indian government. “He expects early resolution of the matter. He is, however, yet to receive the letter from Shehbaz Sharif and will reply to it at a suitable time,” Thukral wrote in the tweet.